is a board-certified cardiologist who focuses on preventing heart and vascular disease at the Piedmont Heart Institute in Atlanta, Georgia. He employs nutritional and lifestyle therapy as well as non-invasive techniques and, as needed, gold-standard medical therapy to help prevent and treat disease. Also, board-certified in internal medicine, Dr. Montgomery served as medical intensive care staff at Chicago area hospitals, prior to joining Piedmont Heart. He currently attends in the Cardiac Intensive Care Unit at Piedmont Hospital. He received his MD from Northwestern University Feinberg School of Medicine, where he continued his medical training, including an internship and residency in Internal Medicine as well as clinical and advanced fellowships in Cardiology/Cardiovascular Diseases. Dr. Montgomery’s patient care and clinical work as a resident won him induction into the prestigious Alpha Omega Alpha Honor Medical Society. He is a Fellow of the American College of Cardiology. He also holds memberships in a number of other organizations, including the American Heart Association, the National Lipid Association and the American College of Cardiology. His commitment to delivering first-rate heart care is matched by his passion for translating medical and health details into relevant and practical keys everyone can use. He believes that mass media will play a critical role in the transformation of the health landscape in America. 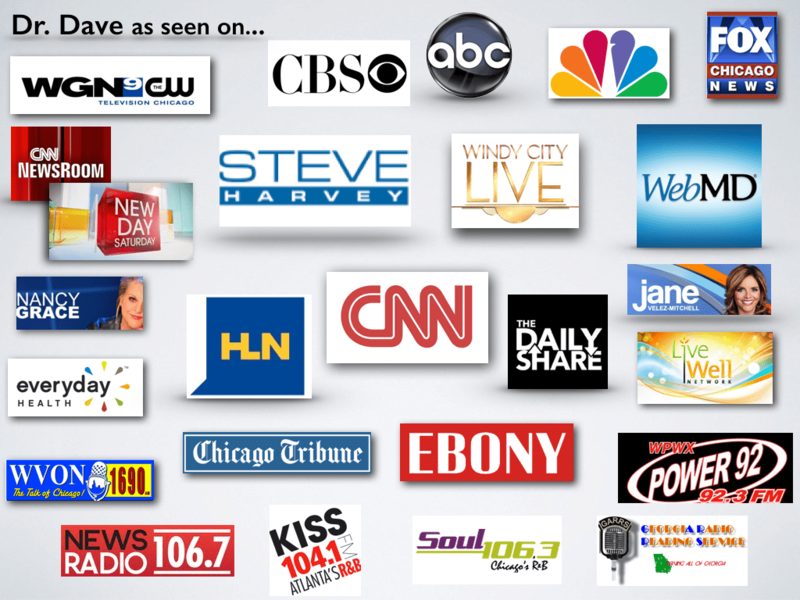 “The new health revolution will be televised, he says, and I plan to be there.” Dr. Dave, as he is known in the media space, has been featured in numerous print and broadcast media outlets including WGN-9 Morning News, CNN, HLN, NBC, ABC, CBS Atlanta, The Hallmark Channel, Fox Chicago News, WebMD, Live Well Network, Chicago Tribune, Essence Magazine, Today’s Chicago Woman Magazine, Everyday Health, JET Magazine, Atlanta Eats Radio, Soul 106.3, Chicago Defender, WLTH AM 1379 in Indiana, the Medill News Service, Unity FM radio, Your Health Magazine as well as talk shows such as the Steve Harvey Show (NBC), Home and Family, ‘People to People’ (WGN TV), Windy City LIVE (ABC), and ‘Say Ahh’ (Live Well TV). He was the principal in two, first-of-its-kind commercials. He was also Contributing Health Editor for Ebony Magazine and Ebony.com and a former health columnist for the Chicago Defender. 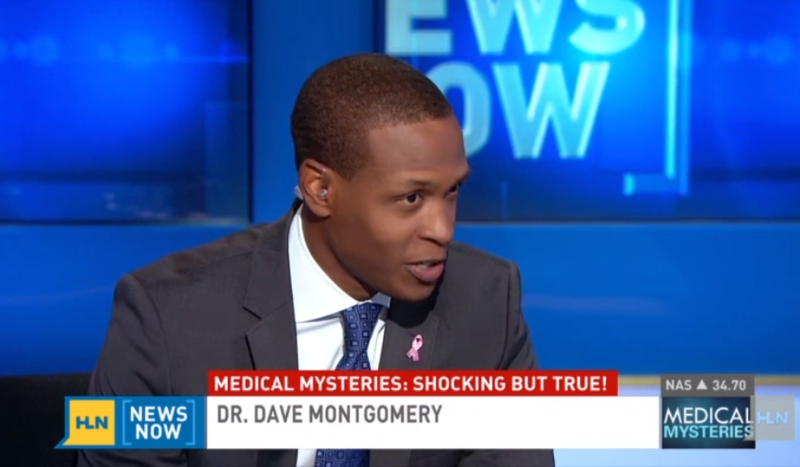 Dr. Dave was a featured medical contributor for WVON AM 1690 radio in Chicago. In college, Dr. Dave launched a motivational speaking venture with a longtime friend. The duo, known for their dynamic uplifting message, toured across the U.S. and Toronto, Canada. Dr. Dave now combines his passions to help people heal from the inside out. Known as the Heart Health Motivator, Dr. Dave has spoken for such organizations as Coca Cola, Deloitte, Delta Airlines, Universal Foundation for Better Living Inc. and large religious organizations, as well as for Teach for America and several other colleges, schools and community groups. He has also conducted seminars and workshops for community outreach programs with a message of self-empowerment and fulfillment through physical, emotional and psychological health. With more than 17 years of understanding ‘how the body works and how the mind works the body’, Dr. Dave’s passions seamlessly come together in his seminars, titled Health Mastery Dynamics. This work has earned him a number of awards, including the 2011 Dr. Martin Luther King Jr. Humanitarian Award, the Mark Award from the Student Empowerment Connection, the Outstanding Service Award from the University Of Illinois College Of Medicine, The Conversation Award and the Nickens Award from the Association of American Medical Colleges. Dr. Montgomery also holds a PhD in Physiology (the study of how the body works) from the University of Illinois at Chicago, College of Medicine and has published in a range of medical and scientific journals. He has studied obesity and its effects on the cardiovascular system and was a lead investigator on a study of a genetic heart condition, called hypertrophic cardiomyopathy, a common cause of sudden death in young athletes. Dr. Montgomery has been funded by grants from the National Institutes of Health. He has also received several awards and national recognition for his research, including election into the esteemed Sigma Xi Scientific Research Society.